Speculative investors engage with these risky investments because they have expectations for substantial returns—returns well above the market averages. To do that, they will often look to areas like biotech, mineral exploration, technology and so on. Speculative markets are typically ones that have a lot of volatility with sudden share price movements up and down. Speculative stocks are always a risk; the key to profiting from them is to understand the nature of those risks. Every investment comes with a random element. Even the most unsuitable and least probable investments can on rare occasions turn into a winner. But any successful investor can tell you that when you determine you have bought a stock in a speculative market that is unsuitable for you, it’s generally best to sell it right away. No rule says you have to win your money back in the same place where you lost it. 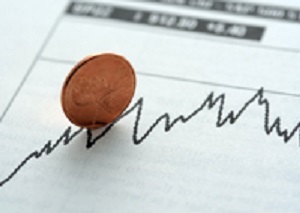 Most of the time penny stocks involve young firms, or start-ups in speculative markets. As mentioned, these include mining or technology. Limit speculative holdings to 30% or less of your overall portfolio. Focus on investment quality when looking for aggressive stocks with the potential for higher returns. Downplay speculative stocks in the broker/media limelight.